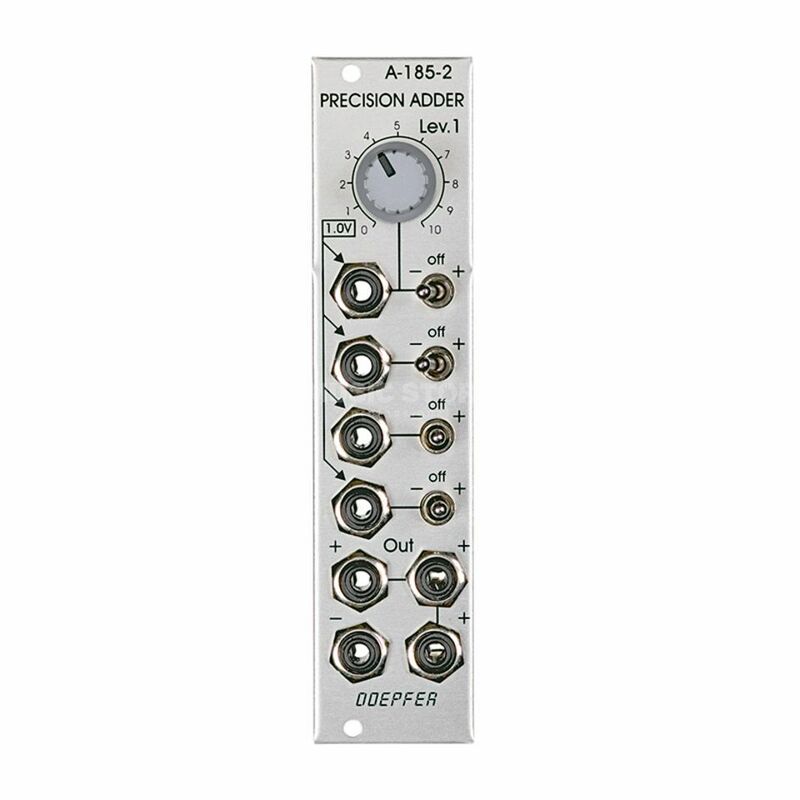 The Doepfer A-185-2 is a precision control voltage (CV) adder module for the Eurorack A-100 system. The module is equipped with four CV inputs: one with attenuator and three without attenuator. Each input is normalised to +1 V (i.e. if no plug is inserted the input contributes 1 V to the sum appearing at the output). The input with attenuator can be used for common modulations (e.g. from an LFO, ADSR, Theremin, Pitch-Bender) for all VCOs connected to the output. The inputs without attenuators are planned to add control voltages from keyboards, sequencers, Midi-to-CV interfaces, ribbon controllers or other CV sources that follow the 1V/oct standard. For example the CV of a keyboard can be used to transpose the CV coming from a sequencer, or the CV of a slow sequencer can be used to transpose the CV from a fast sequencer.